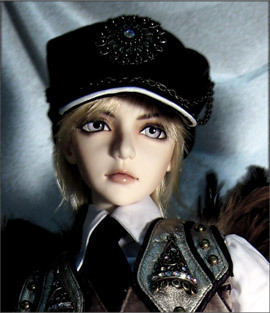 The one (material) thing which I truly want for Christmas is a proper Ball-Jointed Doll (BJD). I want one more than an iPod Touch, more than clothes, more than shoes and more than that new Harvest Moon game. To put it simple, BJD photography amazes me. I have a semi-“professional” doll (i.e one which isn’t exactly used in fooling around…), which is the one you can see in my current doll pictures. She is of the Pullip brand, and whilst I adore her to bits, her huge head, bubbly eyes and childlike features can never convey the deeper, darker emotions which I want in a more serious, artistic picture. (She can ace the “cutesy” pictures, though. And she’s very, very gorgeous.) Mind you, I’m not complaining. I suppose what I’m trying to get at is that she’s not as flexible as a BJD, and while I adore her, it’s just not the same. I’ve been pillaging the Internet lately, browsing through different BJD photography galleries on DeviantArt and window-shopping on websites. These dolls are expensive… it costs at least 400 U.S for one of the more well-known types. The most expensive one which I’ve ever seen was about…650 U.S.
Of course, each doll is handmade of this really fancy material (I can’t seem to remember this material’s name, it’s at the tip of my tongue though… Ah well). And, of course, the doll will probably last forever and be durable, as long as you don’t go banging it about all over the place (or so I’d like to hope). You also recieve the doll assembled, which is actually a much bigger deal than it sounds, and you get a bunch of random freebies, like wigs and, in some cases, an outfit or two. Plus, the eyes are all glassy and detailed, and the face-up is intricate. I suppose, at the end of the day, the value is worth it — given that you put the BJD to good use. That’s probably the major concern I have. I don’t want to ask anyone for a BJD, mainly because one would be frickin’ expensive and I could never ask for that much money. Hence, I won’t even bother asking for one for Christmas. If I did, I would feel way too guilty. I don’t know whether or not I should try to save up for one — mainly because I have no clue if I could use it to its full potential (though a few of my friends who have BJDs seem to think that I could). I guess I just don’t want to waste time saving money only to blow it all off on something which will entertain me only for a short period of time. As stoked as I may be about Doll Photography now — which is an Art, OBVIOUSLY, and I care not what people say — will I still be enthralled with it in 3, 5 years down the road? I don’t know. And that’s the biggest concern. I suppose the best thing to do would be to not over-think it. I think I’ll start to put some of my (practically non-existent) savings towards it, and see where that leads me. I’ll still turn green with envy every time I go through a BJD photography gallery, though. I think that this organization is one of the most powerful out there. They’re so down-to-earth, so human — they’re just amazing and incredibly inspirational. I support them tons, even though I only discovered TWLOHA a month or two ago. They’re very popular, but not popular enough. The World of A Girl Gamer. Anyone who knows me well knows of my love of video games. I have a passion for gaming. Some people look down on this, thinking that it’s silly and a complete waste of time — however, I’d beg to differ. My love of gaming eventually caught on to another one of my friends — Robin. 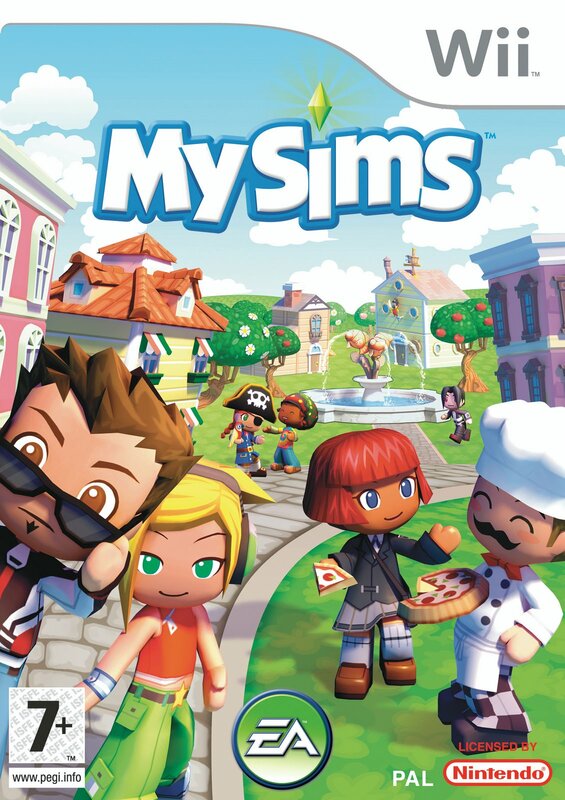 It all started with Mysims — a cutesy little game which wasn’t all that to me. Robin, however, developed an INCREDIBLE passion for this particular game — we would play it at least twice whenever she visited — and eventually, Robin decided that she would get a Wii, in order to pursue the world of Life Stimulation games furthur. I’m not complaining at all — the more gamers, the merrier! I suppose that my games sort of are a chance to escape from this drab, intoxicatingly routine life, and go sailing down into a new place — where “stress” only pops up when I can figure out the next step to solving a puzzle or don’t have enough in-game money to buy that new rare item. (Even in those cases, it’s not stressful. It could be frustrating, but that’s what makes it a good game, right?) There are no formulae to memorize, no equations to solve, no molar mass calculations and nothing to drill into my head. There are no shallow snobs, no close-minded individuals, and no one is there to point the accusatory finger. It’s just my controller and me. The girl of the group cringed, then shook her head. “No, of course not!…” She paused for a moment. “Well, maybe.” At that point, all three burst into laughter. If I was put in a situation where one of my friends said that, I’m not sure what I would do. I would be torn between bursting out into tears of frustration or giving someone a face full of fist. My group of friends and I, we’ve very pro-gay rights — you would never hear the words “that’s so gay” passing through our lips. The “F” word doesn’t have the mainstream definition for me — I would say what I mean, however I think it’s not necessary (plus, typing it makes me feel sick, quite literally). At that time, I thought that this statement was complete idiocy and that the girl was just plainly silly. But now, I’ve been exposed to so much homophobia and seen so much attacks at even the slightest thing dubbed homosexual that I’ve begun to believe her words. I just wish I could do something, anything, to let people know that even casual, unconscious gay-bashing is not acceptable, and that for god’s sake — it’s not like they’re not people, too. They have the same rights as us, they have the same needs as us. The only difference between the heterosexual and homosexual is who they are sexually attracted to. Don’t you have to ask yourself, Does it really matter? Should someone be ridiculed, mocked, and even abused just because they are in love with someone — who just happens to be of the same gender? The most amusing thing is that I go to an international school — one which is supposedly exposed to a variety of different cultures and beliefs. You’d think that a school full of a rich medley of youths would be more open-minded. Sure, we all respect each other’s cultures — race isn’t at all an issue. However, the ones who take great offense to, and do not tolerate, racial insults being pelted against them have no problem pelting homophobic derisions against others. And yes, maybe this is just an overly-dramatic post. Maybe I’m being overly sensitive and a bit too apathetic. But I’m tired of brushing these things away. Sure, I can take the occasional “oh, *insert guy’s name here*’s so gay, lolol” — I mean, it may irk me for a milisecond (enough time for a friend and I to exchange disgusted glances), and if the person has good intent, then hell, I might throw in a giggle or two myself — after all, no harm’s been done and I’m all for freedom of speech. It’s when they’re serious with their bashing that I have to grit my teeth and bite my tongue.